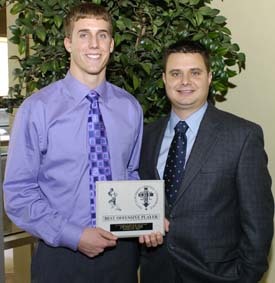 St. Viator coach Chris Kirkpatrick and ESCC Offensive Player of the Year Jared Funk. 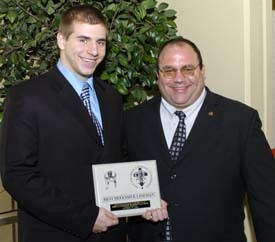 Joliet Catholic coach Dan Sharp and Offensive Lineman of the Year Nicholas Dispenza. 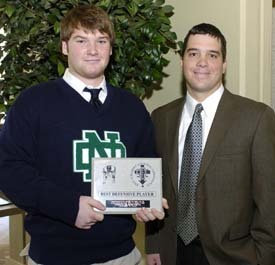 Notre Dame asst. 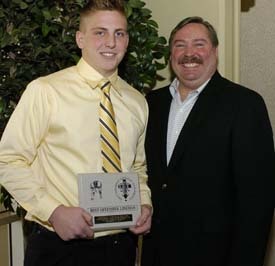 coach Dan DeFranza and ESCC Defensive Player of the Year Connor Flahive. 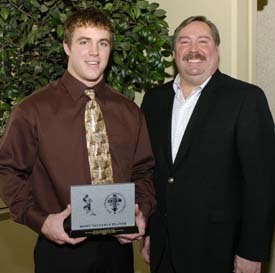 St. Patrick coach Dan Galante and Defensive Lineman of the Year Brandon Kreczmer.